The 15 passenger Ford Econoline van in which seven members of the Bathurst High School Phantoms basketball team and the coach's wife were killed on January 12, 2008. (Bathurst, NB - June 29, 2010) - An announcement by Transport Minister John Baird that the federal government will study the use of 15 passenger vans for school transportation is being called a "huge step forward that will change the face of student safety in Canada" says Isabelle Hains of Bathurst, New Brunswick. Mrs. Hains lost her 17 year-old son Daniel in a tragic 15 passenger van collision along with six members of the Bathurst High School Phantoms basketball team and the coach's wife on January 12, 2008. Since then, Hains has become a leading advocate for changes to student transportation safety in Canada. "I'm cautiously optimistic that the Minister will do the right thing and ban these 15 passenger vans in schools," says Mrs. Hains, who travelled to Ottawa last month to witness the introduction of Bill C-522 by her Member of Parliament Yvon Godin (Acadie-Bathurst). The Bill called for the prohibition of 15 passenger vans for student transportation. Mrs. Hains was joined in Ottawa by Stella Gurr, a Nanaimo, British Columbia based mother whose son Michael was also killed in a 15 passenger van collision outside of Brandon, Manitoba in September, 2008. 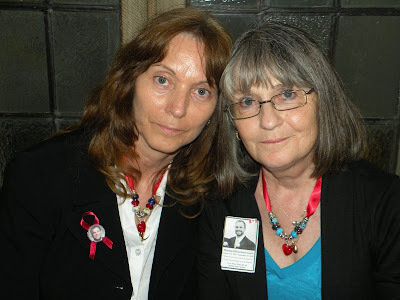 Isabelle Hains and Stella Gurr in Ottawa, May 27, 2010. Both Gurr and Hains say it's no secret that these vehicles are death traps, citing decades old studies from the National Highway Transportation Safety Agency in the United States that recommended 15 passenger vans be prohibited for student use. As a result, 43 US states have banned the vehicles for student transportation. Hains says that until her son was killed, she knew nothing about the dangers of 15 passenger vans. She welcomes the proposed "awareness campaign" mentioned by Minister Baird in the announcement but cautions that there is no safe use of 15 passenger vans for human beings. "These vehicles were designed for cargo," says Hains. "The 15 passenger van in which my son was killed was originally used to transport linen. Human beings should not be transported in 15 passenger vans." "The CSA D270 Multi-functional activity buses standard was initially proposed in 2006 as members of the CSA Technical Committee (TC) responsible for school buses standards began seeing non-conforming vehicles, or those not classified or tested to school bus standards, being increasingly used for the transportation of students for school related activities in Canada. Currently there are no Canadian Federal regulations pertaining specifically to new non-conforming vehicles that can carry 11 or more persons and are sold for the purpose of transporting students to or from school or school related events. Following more than a thousand accidents in 10 years, American federal requirements now regulate that such vehicles are required to meet the same federal standards as school buses." Hains and Gurr say the results of the Transport Canada study are a foregone conclusion. "We know they're going to conclude that 15 passenger vans should not be used to transporting childen and that's not news to us or anyone who has been involved in transportation safety issues for the past twenty-five years since these vehicles were first called death traps." The Minister also announced that the issue of 15 passenger vans will be raised at the Transport Ministers conference in Halifax in September 2010. 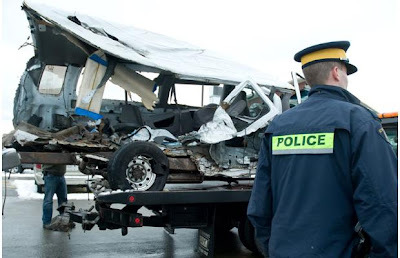 Hains plans to be there to remind the Ministers of the terrible toll these vehicles have had on families across Canada. "Students depend on adults to make the right decisions to keep them safe," said Hains. "We believe the Minister will make the right decision and ban these vehicles forever in schools across Canada."